This version had a lot of focus on making sure your images were displayed better. The plugin now allows you to set a width and height per installed post type so we can crop the images the size they look best. No more stretching and squeezing. No featured image? No problem. We’re now fetching the first image in your content if there’s no featured image set, again in the same set width and height you’ve set. Finally, if there’s no featured image and we can’t find any images in your content, we’ll use the placeholder image you can now setup per installed post type. You’ll never have a related post without an image again, ever. To enable us to display related posts on your website (very) fast and decrease server stress on your server (no hosts bans our related post plugin), we need to do the heavy lifting in the backend. So instead of finding related posts on page load, we do it when you setup the plugin. This has tons of advantages but also comes with one disadvantage, you have to wait for the plugin to setup the related posts. How long this takes depends on a lot of things (like your connection and server) but turned out if you’re linking over 40,000 posts to each other, this progress might take some time. While this will always be a process that takes some time, we were able to reduce the word cache process time by 71% (from 0.15s to 0.043796s on average) and reduce the post linking process by 88% (from 0.09s to 0.010949s on average). Please note that these average runtimes were done locally and via WP-CLI commands. While the runtime in seconds might differ from your server, in terms of percentage the change should be equal. If you have a lot of posts to setup, definitely use our WP-CLI commands. The setup process tends to be a lot faster via CLI than via your browser. Besides being faster we’ve also tweaked the related algorithm, resulting in better results. On top of that we’ve added a feature called joined-words, which allows you to have a combination of words to be treated as 1 entity. We’ve also added a setting that allows you to add your own ignored words. 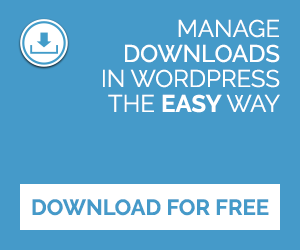 As an example of these 2 new features, say you have a WordPress news website. Ignoring the word WordPress and adding WP CLI as a joined word will result in much better related posts because (almost) all your news is about WordPress (which makes it an irrelevant term) and the combination of WP CLI will now be used to find other posts with that word combination. Of course the 1.5 release has a lot of other cool features and changes, you can read the full changelog here. If you any issue installing or setting up the plugin, please email me via our support form (or simply reply to your purchase email). 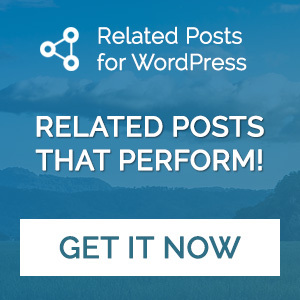 You now have the best related posts plugin for WP. No doubt about it. I’ve tried them all and this is awesome. If you’re not using our premium version yet, there’s no better time to upgrade today. Is the new image handling compatible with the RICG Responsive Images plugin, which is getting rolled into the upcoming WordPress 4.4? Is the plugin meant to auto detect the update in my WP dashboard? I have the previous Pro version installed and it isn’t reporting any update being available.